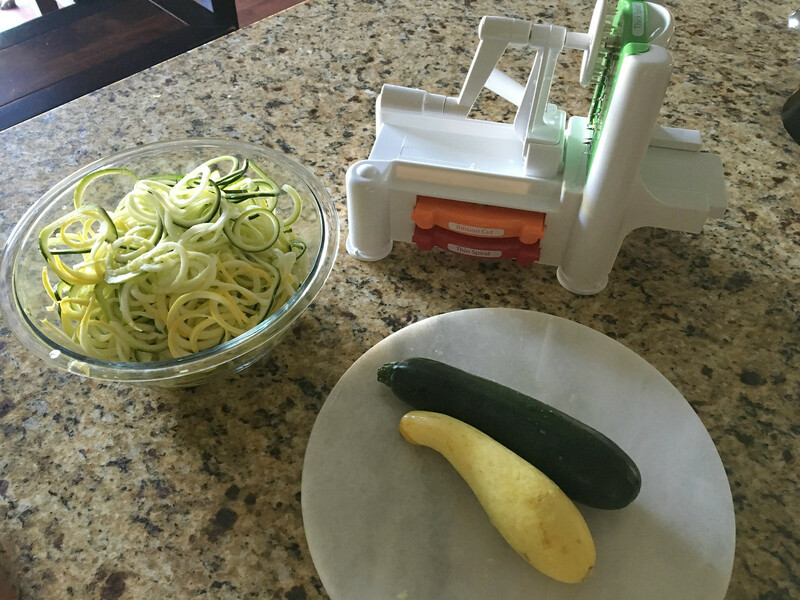 So, I think I'm late to the game, but I got a Spiralizer or Spiraletti, or Zoodler or whatever you want to call it gadget. And I LOVE it! I normally dread cooking on a Monday. After a long day at work, it's the last thing I want to do, but this Monday I couldn't wait to get home and try my new toy. 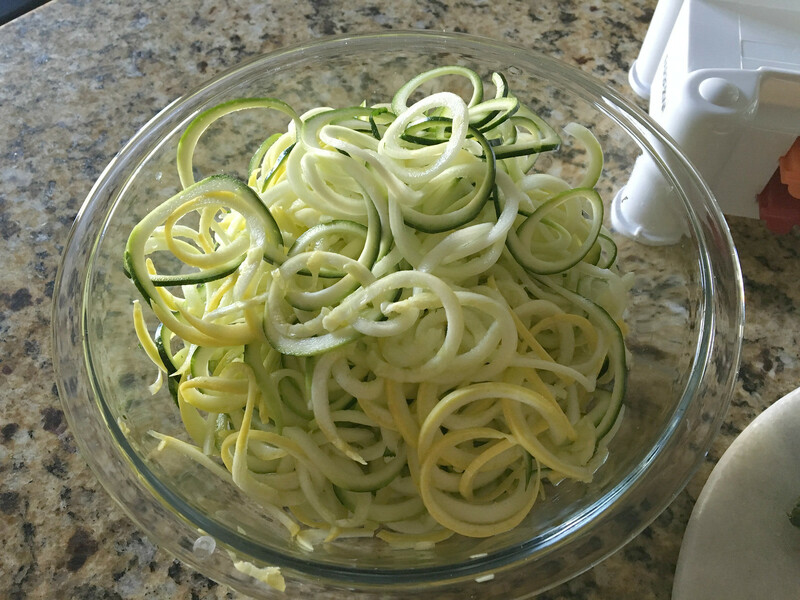 I pinned a bunch of recipes on Pinterest, but went with simple garlic parmesan zoodles (zucchini noodles). 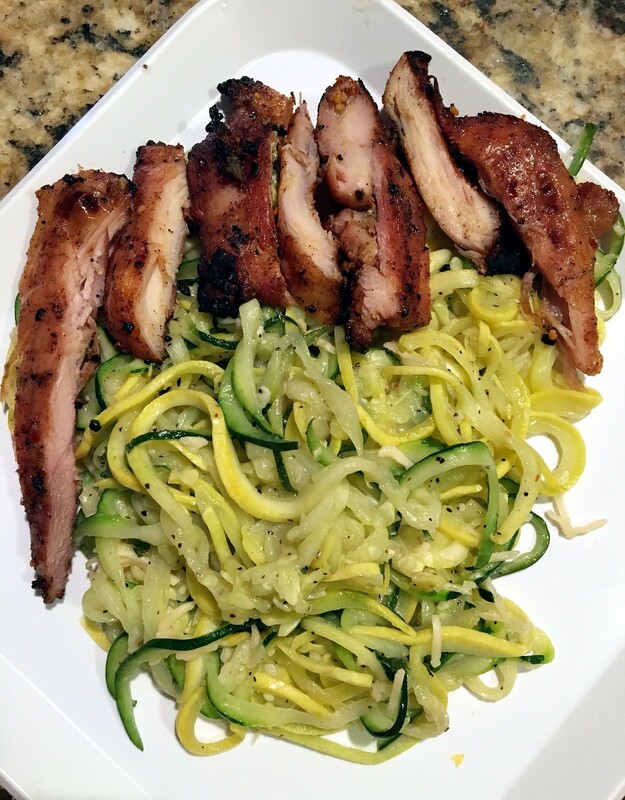 Saute a little butter and garlic, add your zoodles, (I used zucchini and yellow squash), sprinkle with black pepper and saute for about 4 or 5 mins. Not too long. Mine still had a little crunch to them. Once heated, sprinkle with parmesan cheese and Viola! So easy, and delicious! Here's the sprializer I bought, but for way less at Ross. Mine was $14.99! Can't beat that. 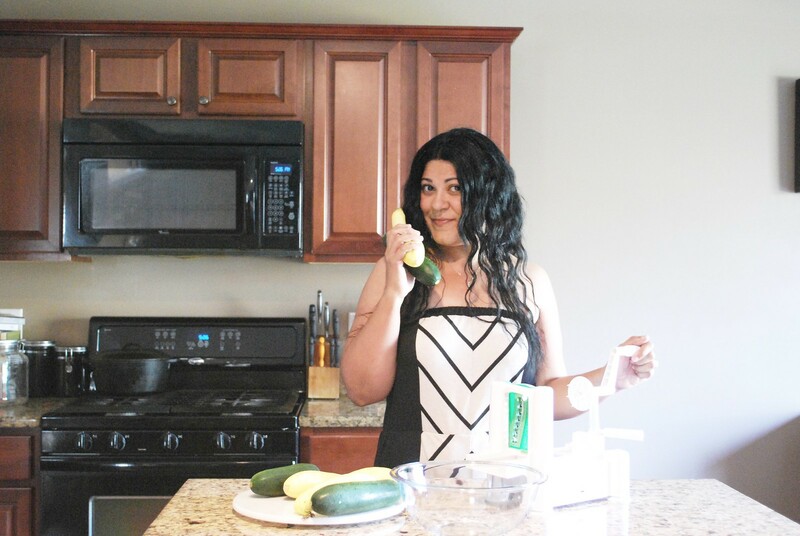 With all the fresh veggies and fruits this time of year, I plan on spiraling all I can! I was on a roll Monday night! I even made a peach and blueberry galette from the peaches and berries I got at the Farmers Market Saturday. I'll share that later in another post. It was so good! This past Monday wasn't too bad! Looks delicious! 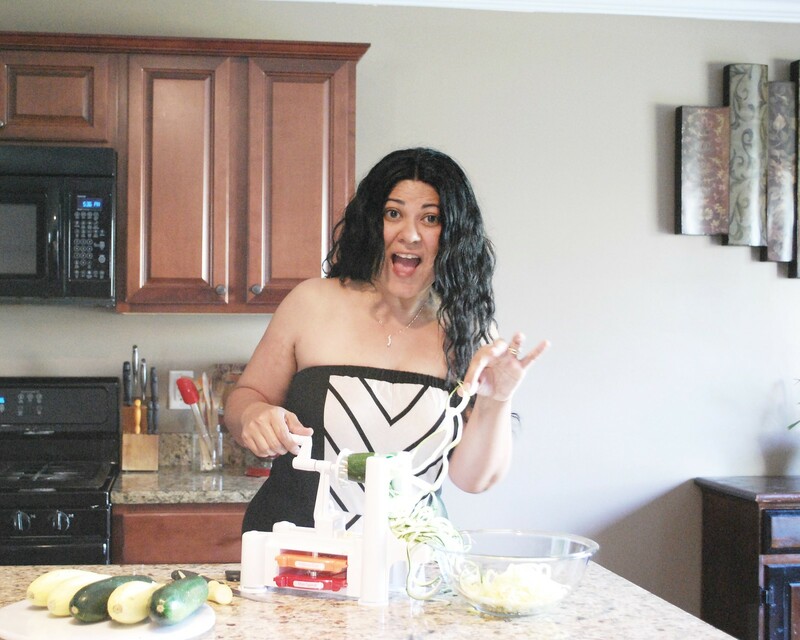 I am a big salad eater, but not a great cook. This one looks very "doable"! How cute are you!? Your dinner looks really good.